Lesley Gore, (1946-2015), was a teen idol during the 1960’s. Beginning in 1963 at the age of 16, she placed close to 20 songs on the Billboard Hot 100. Songs such as the number one “It’s My Party,” “Judy’s Turn To Cry,” “She’s A Fool,” “You Don’t Own Me,” and “California Nights” taped into teen angst, love, and life. By the end of the decade her commercial peak was past and she moved on to writing, acting, and appearing on the oldies circuit. She recorded nine studio albums 1963-1967, but only four more during the next 48 years. Love Me By Name reunited her with producer Quincy Jones. It was an attempt to take her career in an adult direction and for the most part it succeeds. Love Me By Name is an impeccably produced and recorded album of music. What adds to the interest is the fact Gore co-wrote all 12 of the tracks. The styles move in a number of directions. “Immortality: is probably the album’s best track. It is a smooth pop song that updates her teen sound. The single version of the song is included as a bonus track. A little longer than the album track, it was re-imagined for the mid-1970’s dance floor. “Paranoia” allows her to travel in a rock and roll direction for one of the few times in her career. It is a dark piece complete with blazing guitars. “Can’t Seem To Live Our Good Times Down” moves in a completely different direction. It is an easy-listening pop extravaganza with strings, brass, and background vocals. “Along The Way” falls into the light jazz category thanks to the harmonica play of Toots Thielmans. Love Me By Name is a versatile and satisfying album that deserved a better commercial fate. It is proof that Lesley Gore created good music after her teen years were past. Lesley Gore, (1946-2015), passed away several months ago at the age of 68. She is best remembered for a series of shiny 1960’s pop hits, including the number one “It’s My Party,” “Judy’s Turn To Cry,” “She’s A Fool,” “You Don’t Own Me,” and “Sunshine Rainbows And Lollipops,” all issued before the age of 20. The hits ran out during the late 1960’s but her career lasted until her death. During the early 1970’s she recorded one album for the Motown subsidiary MoWest Label. Someplace Else Now received little commercial attention and quickly faded away. 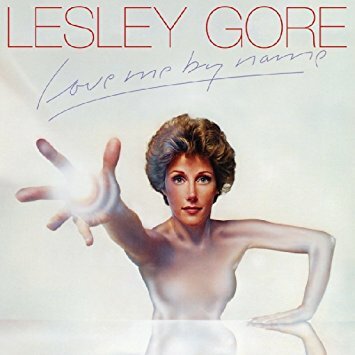 Now it has been released on CD for the first time and fills in a huge hole in the Lesley Gore legacy. The album may not be as bright and catchy as her early hits; but it did show growth as an artist. She also wrote or co-wrote all 12 tracks, which gives it a very personal and reflective feel. “For Me” is an apt song title for the album opener as the pensive lyrics and strings signal a new phase of her career. “Be My Life” and “The Road I Walk” both have gospel influences and find Gore moving away from her pop roots. 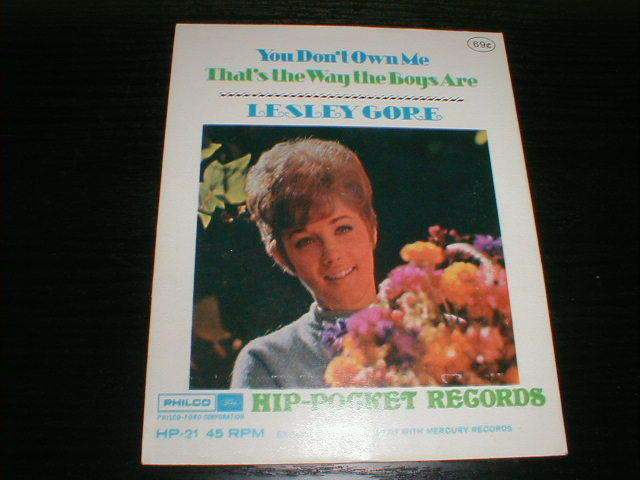 Lesley Gore always had a smooth and effortless vocal approach but “What I Did Wrong” forces her to stretch a bit. She sings with passion and seems connected to the lyrics. “She Said That” tells a dark story and is very different from just about everything she ever produced. As with all the Real Gone re-issue releases, the liner notes are excellent as they give a complete history of the music. The sound is also crisp and clean and was taken from the original masters. It helps that Motown usually had very good production values. 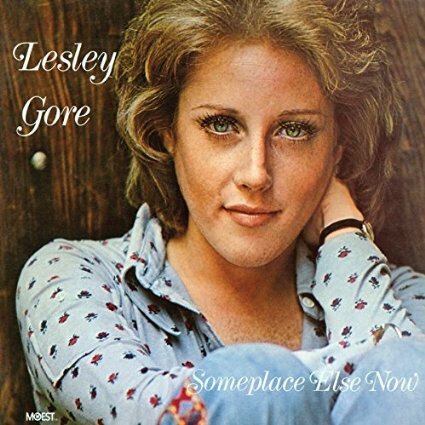 Someplace Else Now may not be Lesley Gore’s crowning achievement or most listenable album but it was a creative leap for her at the time and remains interesting when compared to the rest of her musical output. Three days after her 17th birthday, Lesley Gore received a belated present when her first single, “It’s My Party,” debuted at number 60 on the Billboard’s Hot 100. It quickly moved to number 26, then to number nine, and on June 1, 1963, reached number one. It remained at the top for two weeks. It also topped the R&B Chart, which was a real stretch. It was a typical early 1960s song of teen angst where the female protagonist loses the boy at her party. She would get her revenge in the follow-up single, “Judy’s Turn to Cry,” which became another hit, reaching number five. It was a catchy up-tempo pop number that featured some early dual tracking of her lead vocal. It was perfect AM radio fare at the time and sold over a million copies. She began her career as the singer in a local seven-piece band, which played weddings, Bar Mitzvahs, and birthday parties. Their gig at the Prince George Hotel in Manhattan was caught by producer Quincy Jones. He signed her to a contract and, on March 30, 1963, had her record four songs. “It’s My Party” was quickly released as The Crystals were about to record the song. The song also made history as the first number one for producer Quincy Jones and the engineer for the recording session, Phil Ramone. Her greatest commercial success came 1963-1967 for Mercury Records as she charted 19 singles. Songs such as “You Don’t Own Me,” “She’s A Fool,” “California Nights,” and “Sunshine, Lollipops and Rainbows” were some of the finest pure pop performances of the decade. While she never had another chart hit, she has continued to perform, record, and write songs for the past 50 years. 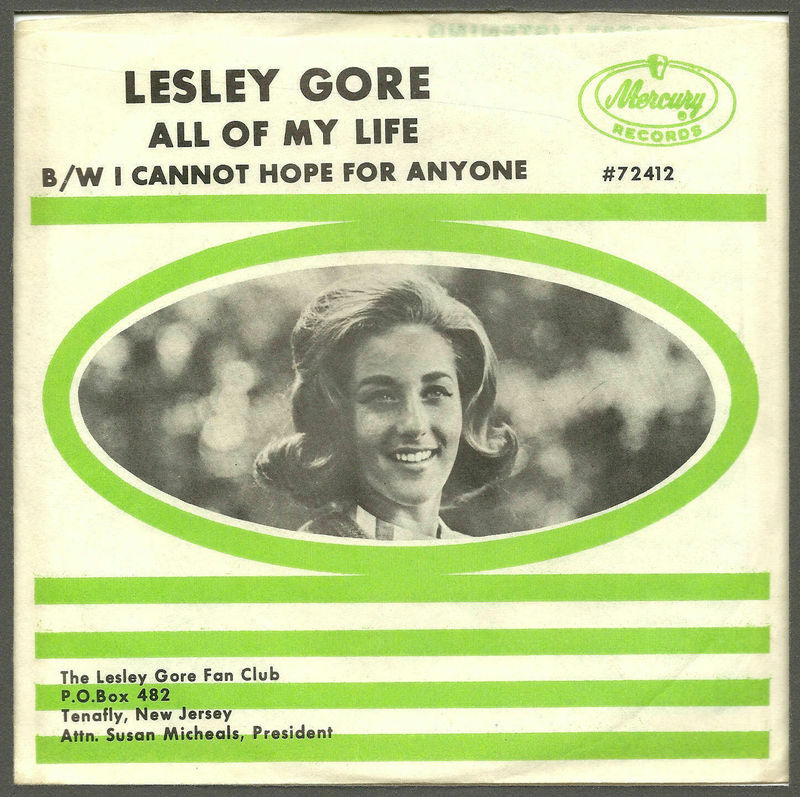 A half century ago Lesley Gore sent out over a million party invitations in the form of small, seven-inch 45s. They enabled her to top the American music world for the only time in her career. Hip pocket records were small 4 inch flexi-discs that would play on regular stereo systems plus record players made especially for the discs. They were produced during the 1960s but never really caught on. Most of the major labels of the day produced the discs and ones by such artists as The Beatles and The Beach Boys are fairly collectable today. The best thing about the releases was they came with picture covers. Lesley Gore was one of America’s female sweethearts during the 1960s. Pictured here is her hit single, “You Don’t Know Me,” which was released during late 1963 and spent three weeks at number two on the BILLBOARD MAGAZINE Pop Singles Chart during early 1964. It was a much better picture than her regular black and white picture sleeves for the Mercury Label. Sometimes a poor movies can give birth to a great song and so it was with SKI PARTY starring Frankie Avalon. Between 1963 and 1965 Lesley Gore had 11 chart singles but one of her catchiest was yet to come. 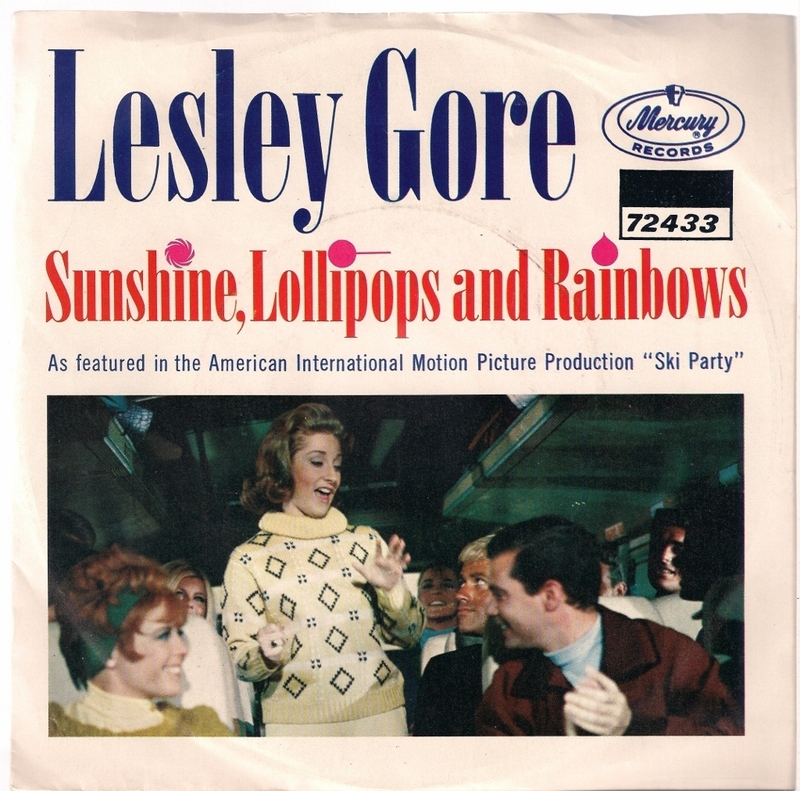 “Sunshine, Lollipops, And Rainbows” may not have been her biggest hit but it was one of her catchiest. Released during June of 1965, it rose to number 13 on the BILLBOARD MAGAZINE Pop Singles Chart. Gore continues to tour on the oldies circuit and any of her compilation albums are worth a listen. P.S. – The SKI PARTY movie can be skipped. Lesley Gore was one of America’s sweethearts during the 1960s. Beginning as a teenager she issued a series of hit singles, many of which placed high on the BILLBOARD MAGAZINE Pop Singles Chart. 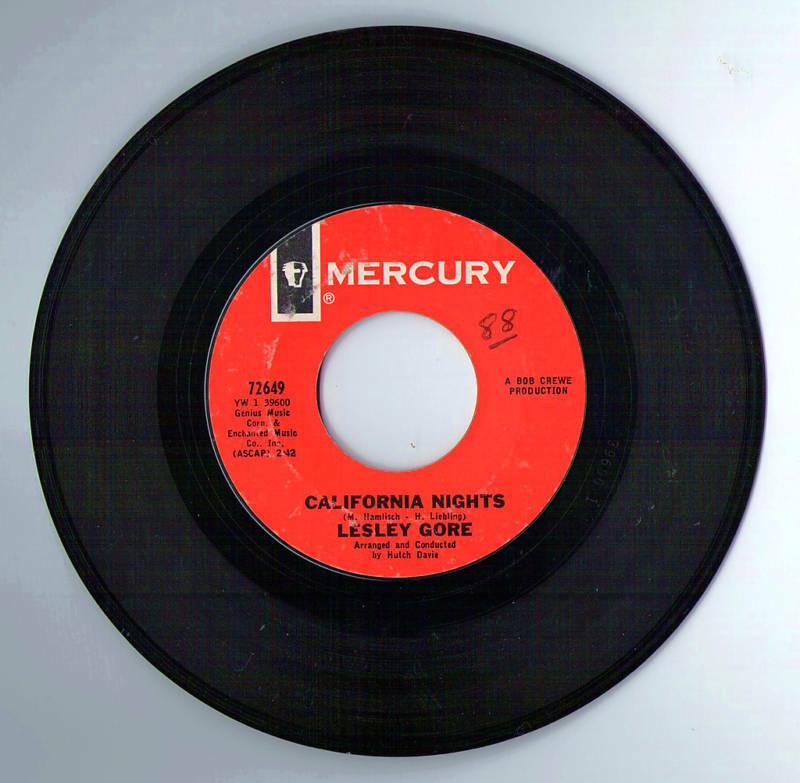 “California Nights” was her last top 40 hit, reaching number 16 during the first half of 1967. It was more sophisticated than her early simple pop material, yet it was also catchy. While the commercial success dried up during the 1970s, she has continued to tour and occassionally record down to the present day. Lesley Gore had 19 singles make the BILLBOARD MAGAZINE Pop Singles chart, 1963-1967, all before the age of 22. Seven of them made the top 20 with Its My Party reaching number one. Their were also a number of lesser known releases. “All Of My Life” was released during the winter of 1965 and reached number 71 during its six weeks on the chart. It was the kind of smooth 1960s smooth pop that remains her legacy and is still worth a listen nearly 50 years later. You are currently browsing the archives for the Lesley Gore Reviews category.